When fashion designer Louis Vuitton first arrived in Paris in 1837, the city had yet to unfold as a fashion and design capital. But it was here that Vuitton founded his luggage empire and, just a quarter century later, opened the world’s largest store of travel items at 70 avenue des Champs-Élysées. Vuitton’s wanderlust remains integral to the brand today, which authors Patrick Mauriès and Pierre Léonforte chronicle in the new book Louis Vuitton: The Spirit of Travel (Flammarion, $40) using archival photos, print advertisements, and historical records. The company went on to open stores around the globe, from New York to Beijing, while the signature leather bags evolved to include the latest technological innovations. These days, traveling with Louis Vuitton pieces is the ultimate symbol of sophistication and luxury, for both far-flung adventures and everyday subway commutes. 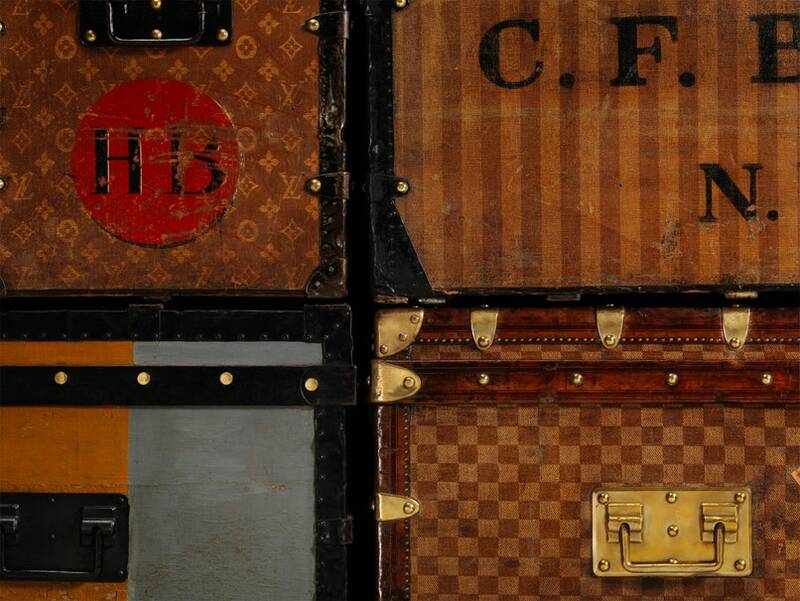 In 1896, four years after Vuitton’s death, the company introduced the first monogram canvas. The “LV” paired with geometric shapes has become the brand’s most iconic print. 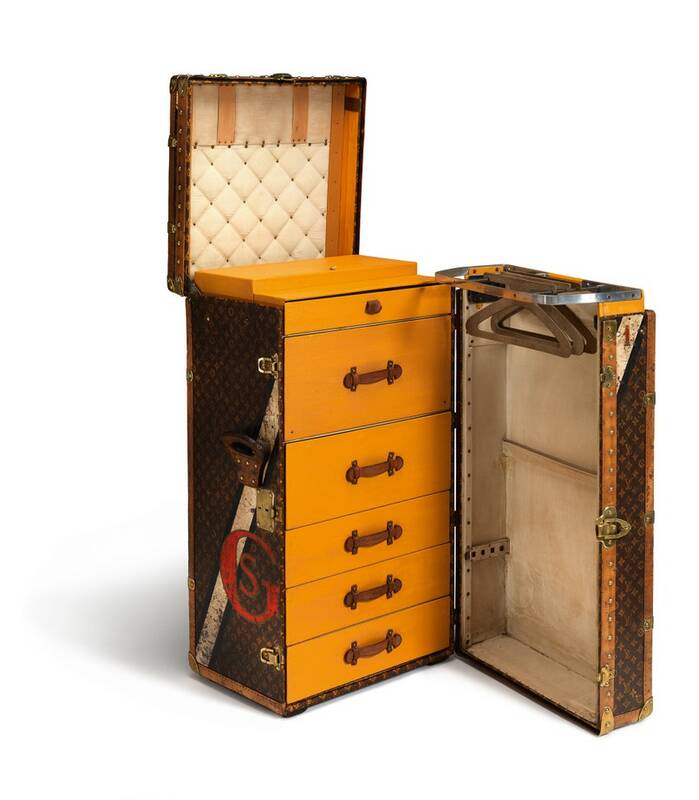 Here, a woman’s trunk in monogram canvas, circa 1906. 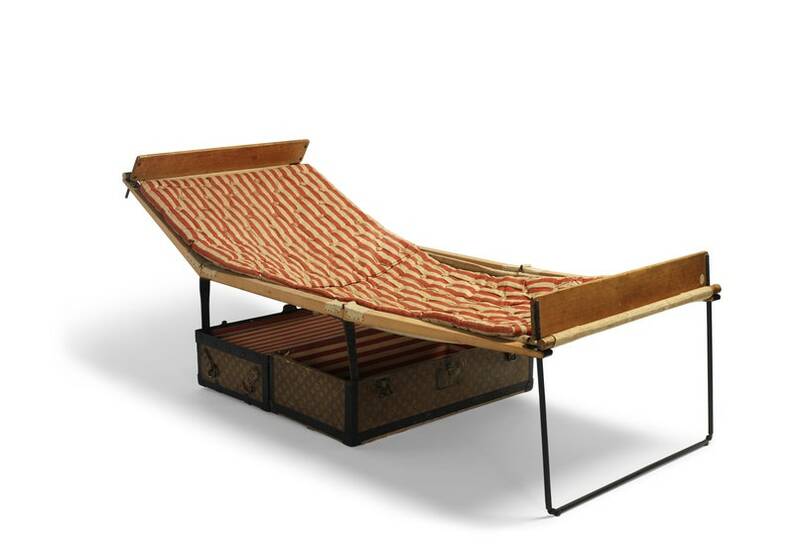 This legendary “trunk bed” was designed for Italian explorer Pierre Savorgnan Brazza. 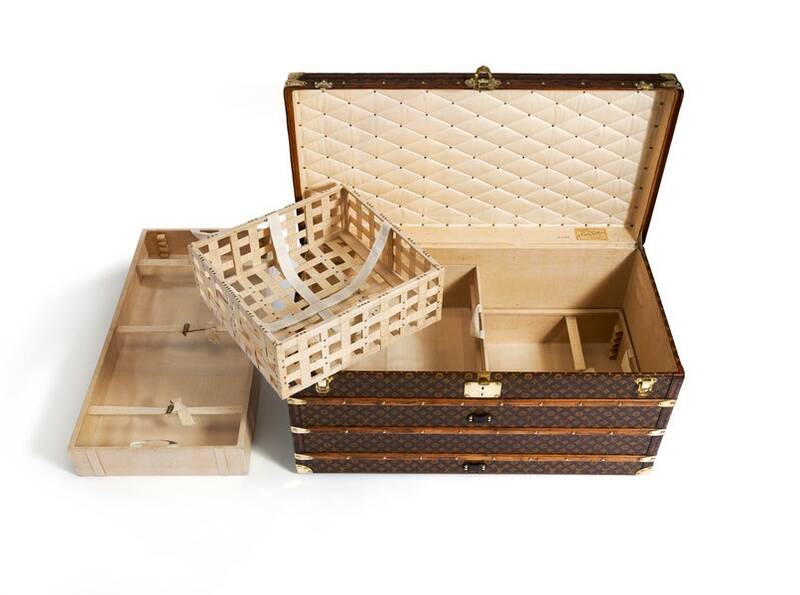 The case was made of zinc and copper—resistant to dust and dampness—and came with a camp bed folded within. The brand has experimented with a variety of trunk finishes over the years: solid Trianon gray hemp oil, red-striped cloth, checkered Damier canvas, and the classic monogram canvas. 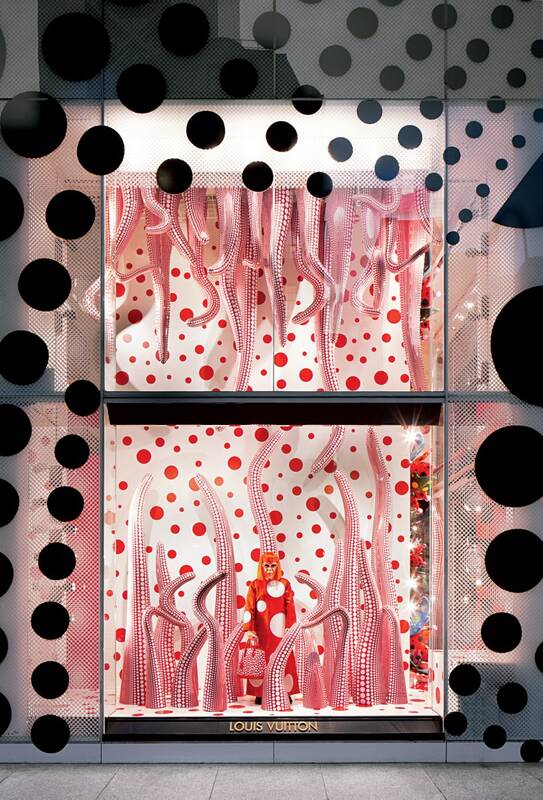 Louis Vuitton’s storefront window displays are their own art form. Inside, stores have also hosted art pieces, including the work of artists such as Fabrizio Plessi, Xavier Wilhan, and Olafur Eliasson.